Caldera Yachting was honored with the Gold Award in the category “Sea Tourism – Sailing” in Tourism Awards 2019, on 9th of April, at the Cultural Centre Hellenic Cosmos, presence of executives and bright personalities of the Greek tourism. The company’s CEO Yiannis Mattheos received the award, quoting “Teamwork is the one that brings you to the top. Alone we can do so little but together we can do so much”, pointing out the significance of this distinction, which is a commitment but also promise that the company team will continue to work on and create experiences for visitors of Santorini. 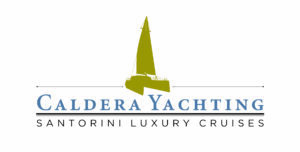 One more significant distinction for Caldera Yachting, since it is ranked among the leading companies that provide services as valuable examples of innovation, and enrichment of the Greek tourism product. As the President of the jury noted “the tourism awards reward and highlight those who are excellent, bold and innovative”, focused on the importance of people who create new avenues of thought and action. The company is distinguished for the fifth successive year in the institution of Tourism Awards, having already been awarded with Gold & Silver Awards not only in the category of Sailing but also in Customer Services. At the end of 2017 it was honored as the Best of The Best worldwide, winning the award of “Charter Company of the Year – Global Award Winner 2017”, while The International Travel & Tourism Awards 2018 initiated by International Exhibition WTM in London honored the company with the Silver Award as “Best in Luxury”. All these significant moments of the company are important steps in its continued growth and an endorsement but also gratifying commitments to consistently serve the goals of remaining focused on customer service and offering high quality services in yachting. 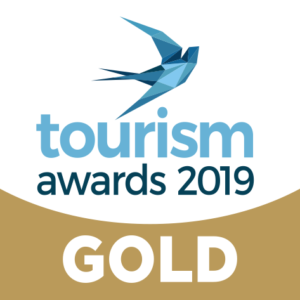 The Tourism Awards 2019 was organized for the sixth consecutive year by the Hotel Restaurant of Boussias Communications &, under the auspices of the Ministry of Tourism, the EOT, the Marketing Greece and Hellenic Chamber of Hotels.